It seems that we are in the world of Android(the smartphone operating system developed by Google, it gets popular for its extension and open source character).As for an android user,do you want to get Bible move with you? 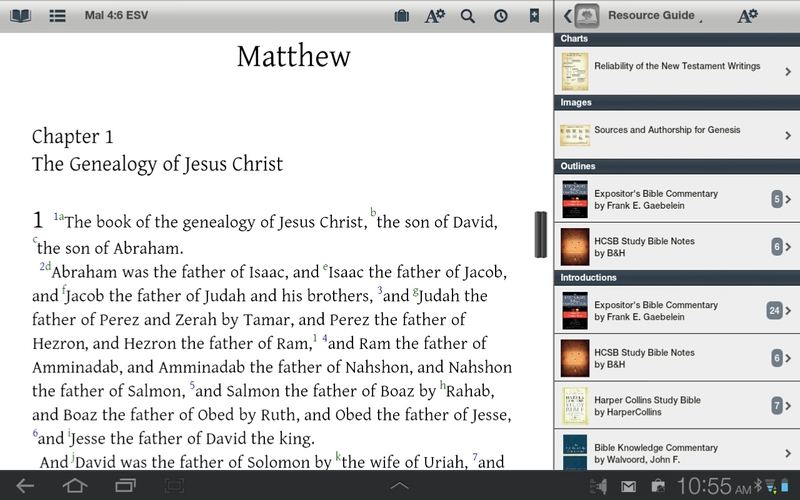 Now there are some Bible android software for you to choose from. If you don't get time to go to church or want to continue Bible study, the android Bible app software can put God's words in your pocket. Theses four android Bible software below I introduced below are popular used. You can read the description and choose the best one for you. Sync Multiple Devices - store your Notes, Highlights, Bookmarks, Tags and Ribbons and transfer them to all your devices. You can read or listen to the Bible with over 150 Bible versions 100% free. It's a #1 rated and ranked Bible App for free. It makes easy for you to read and share God's Word. 150+ free translations and almost 200 Bible reading plans to help you read the Bible and track your progress. It gets Many great bible translations free access to many modern English/Spanish Bible translations, for example access many foreign language Bibles including German, French, Italian, Chinese Simplified and Traditional, Swedish, Korean, Japanese, Norwegian, Czech, Bulgarian, Dutch, Portuguese, Romanian, Russian and more. You can play the offline bible access/airplane mode,the software itself gets some local file, so you can read off line. You can search the Bible for either a reference or a keyword easily. Then the Bible App displays your Bible search results quickly for fast navigation. You can listen to the bible too by the audio version. You can set plans to help you read the Bible consistently. Track your Bible reading progress and sync your changes back to YouVersion.com, where you can join millions of other You Version users discussing what you’re reading in the Bible. I think the feature that Connecting Twitter and Facebook accounts to easily share Bible verses is nice, I can share my Bible ideas on my social circle online. Create personal note. Share your note to friends by email, facebook, SMS. 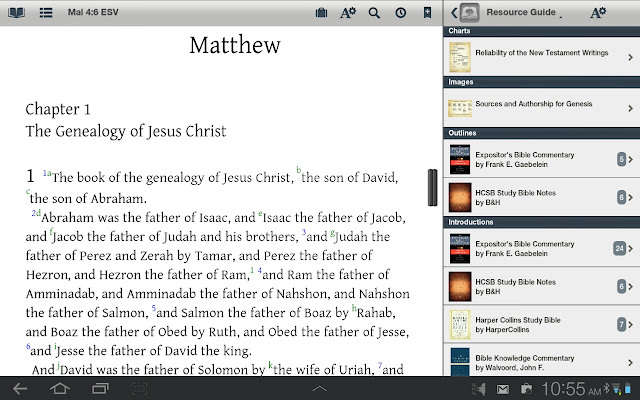 Search the bible for a reference based on context search or a single keyword. (2) [Settings->Manage Applications->[LiveBible], then ->[Clear Data] to restore your transaction. 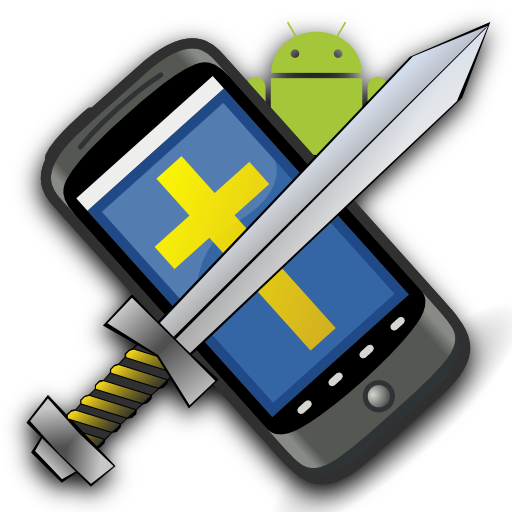 You can study the Bible, compare different translations, lookup Strong's Hebrew and Greek Lexicon, read popular commentaries, Bible dictionaries, books, maps, and even write your own insights and study notes directly on your Android device offline (the Internet connection is only needed when downloading modules)With My Sword. Bible study has never been this fun and easy. For choosing bible android software, I am sure all of you need the off-line feature, it enables us use the bible at the no internet/Wifi time. You may also need bookmark the page where you read today, take notes where you get confused, all I introduced these 4 bible android apps which are most popular among others get the features.They can be download from Google play store. Enjoy God's words on move. What about andBible? What do you think about it? I haven't touch that, I will review it, thanks. Talking Bible Premium is another great Bible app!